Dominion Resources, the parent of Dominion Virginia Power, held its shareholder meeting today in Cleveland, Ohio. Unhappy Dominion shareholders have introduced many resolutions over the years seeking to reform aspects of the company’s business practices, from buying mountaintop-removal-mined coal to exposing investors to risks from climate disruption. Although Dominion routinely challenges the resolutions, seeking to keep them off the ballot, this year half a dozen resolutions made it through the legal obstacle course to be voted on. One of the resolutions, submitted by the New York State Common Retirement Fund, called on Dominion to disclose its financial support for the secretive American Legislative Exchange Council, which works to defeat and roll back renewable energy and climate initiatives across the country. The resolution prompted guest blogger Seth Heald, in Cleveland today for the shareholder meeting, to offer this commentary. Dominion’s coal-fired Chesterfield Power Station, on the James River, has been driving climate change since 1952. Photo credit Ed Brown, Wikimedia Commons. In the past week or so communities across Virginia staged Earth Day festivals and other events to raise environmental awareness and support environmental protection. Virginia’s largest electric utility, Dominion Virginia Power, had tables or booths at a number of these events, touting the company’s environmental record. What you won’t find on Dominion’s website or in its Earth Day handouts is any mention of its work to undermine environmental protections through its financial contributions to the American Legislative Exchange Council, widely known as “ALEC.” ALEC has been described as “a corporate bill mill.” It brings together corporations and state legislators and comes up with “model legislation” for the legislators to introduce back home. Sometimes state legislatures pitch in with their own additional financial support. A report on ALEC’s influence in Virginia, issued by the group Progress VA, states that between 2001 and 2010, Virginia spent over $230,000 of taxpayers’ money to send legislators to ALEC conferences “to meet with corporate lobbyists behind closed doors.” The report notes that more than 50 bills drawn from ALEC sources have been introduced in the Virginia General Assembly in recent years. ALEC gained notoriety recently because of its sponsorship of “stand your ground” laws, such as the one in Florida connected to the Trayvon Martin shooting death. According to The Guardian, more than 60 corporations withdrew from ALEC after that connection was publicized. ALEC’s proposed energy and environmental legislation reliably favors corporate polluters’ interests over the environment. An ALEC model resolution intended to stymie efforts to address climate change expressed the goal of “prohibiting EPA by any means necessary from regulating greenhouse gas emissions, including if necessary defunding EPA greenhouse gas regulatory activities.” As reported in the Virginian-Pilot, a Virginia delegate introduced this resolution in the House of Delegates after it was presented to him by the coal industry. A different ALEC resolution called for opposition to “all Federal and state efforts to establish a carbon tax on fuels for electricity and transportation.” A list of ALEC model legislation is available at http://www.alecexposed.org/. The nonprofit watchdog Center for Media and Democracy reports that Dominion Resources has participated on ALEC’s energy, environment and agriculture task force. A 2010 “roster” of people on that task force (obtained by the group Common Cause and posted online) includes Dominion executive Robert Blue, who currently is Dominion Virginia Power’s president. Blue and other Dominion executives served alongside Joseph Bast, president of the Heartland Institute—an extremist group notorious for its support of climate-science denial and comparing those who “still believe” in climate science to mass murderers. Also on ALEC’s environment task force roster serving alongside Dominion executives were representatives of the American Petroleum Institute, Koch Companies Public Sector LLC (affiliated with Koch Industries and the Koch brothers), the American Coalition for Clean Coal Electricity (a coal-industry group that lobbies against carbon-emission restrictions), and the Koch-backed right-wing, anti-environment group Americans for Prosperity. You simply can’t square these anti-environment positions with Dominion’s professed corporate culture of environmental awareness, supposedly woven into the company’s very fabric. No wonder Dominion keeps quiet about its ALEC involvement. 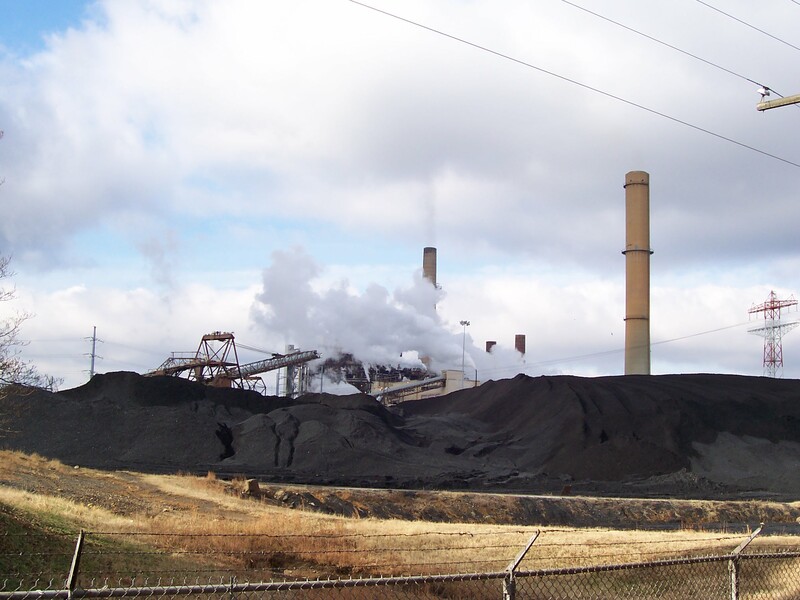 EPA records reveal that Dominion is the largest emitter of carbon-dioxide pollution in Virginia. Meanwhile Virginia’s Hampton Roads area, where many Dominion customers live, is one of the most vulnerable places in the nation to harm from climate change caused by carbon emissions. Virginia continues to suffer from the recent Duke Energy spill of toxic coal ash into the Dan River. ALEC’s efforts to block environmental protections harm all Virginians, indeed all Americans. The people of Virginia—Dominion’s customers—should press Dominion to work to reduce its carbon emissions sharply rather than waxing poetic about its environmental “culture” while quietly supporting groups like ALEC that seek to block efforts to address climate change. Seth Heald is vice chair of the Sierra Club Virginia Chapter, and is also a Dominion Resources shareholder. He is a graduate student in the Master of Science in Energy Policy and Climate program at Johns Hopkins University. This entry was posted in climate change, legislation, Renewable energy and tagged ALEC, climate change, Dominion Power, environment, renewable energy, shareholder resolution, Tom Farrell. Bookmark the permalink. Dominion is masterful at speaking out of both sides of its mouth at the same time. They are a poster child image of clever power-mongering, corporate greed and irresponsibility to the world at large, acting only in the interest of corporate stakeholders and executive compensation packages. I’d say they exhibit close to on-par behavior with the nastiness of Philip Morris/Altria. Because they fight so hard against planet health and the public interest, I will be on the pom pom squad watching these greedy bastidges when they go down hard. In all reality, Dominion Resources will probably not soon disappear from the financial world, but we can at least pressure them to ditch the short-sighted and irresponsible practices that form the foundation of their corporate culture. Solar and other distributed energy technologies can help that process along, although at this point appear to be making them crankier. Clearly, Dominion cares more about its shareholders than the health & well being of its customers and VA citizens. Illuminating ALEC and Dominion’s shadowed relationship, making what has been largely invisible visible, will hopefully further awaken VA residents and Dominion customers. Good input for the Sept. 4, 12 noon Rally for Climate and Democracy at ALEC HQ in Arlington. For more info, go to: http://www.tinyurl.com/DumpALECNow.